This modern art tapestry "Composition" shows an abstract scene in splashes of reds, yellows and blues. 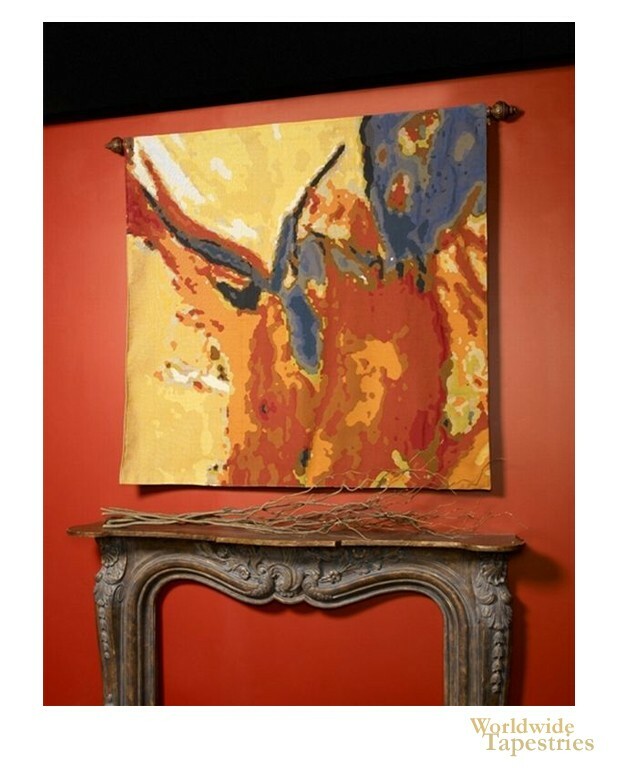 Full of color and vibrancy, this piece is reminiscent of modern art where form is free to take shape in an avant-garde way. The use of 2 primary colors together creates a dramatic impact. This contemporary tapestry "Composition" is backed with a lining and has a rod pocket for easy hanging. Note: tapestry rod, tassels, and accessories, are not included in the price.